Planning to start a new construction or maintenance project at your residential or commercial property? Contact our team of professional roll-off dumpster operators and schedule your rental. We offer next-day service or advanced reservations. 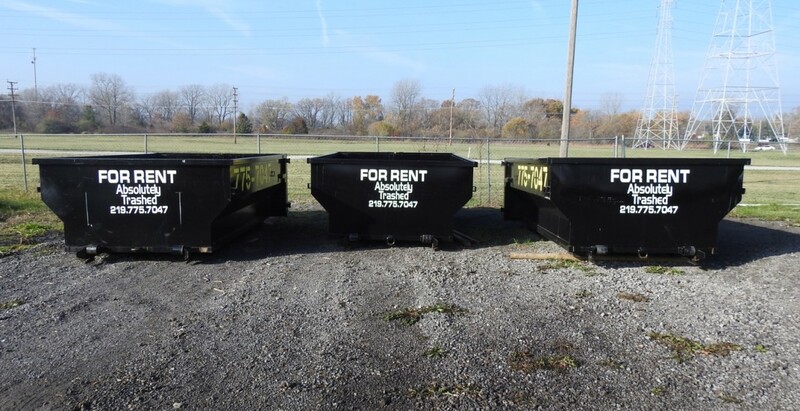 Roll-off dumpster rentals can be reserved for up to 7 days or until the container is full, whichever comes first. Absolutely trashed containers can handle 4,000 lbs of garbage and demo materials. 100% low price and satisfaction guarantee. Call us for a quote today! *Disposal of paint, hazardous waste, railroad ties, and tires are strictly prohibited.